I'm always blowing bubbles . . .
PixOs are an unusual toy to say the least. You arrange the beads various designs on a plastic tray. You can use templates or create your own design. When the beads are sprayed with water, they become sticky and fuse together. Then you just let them dry. 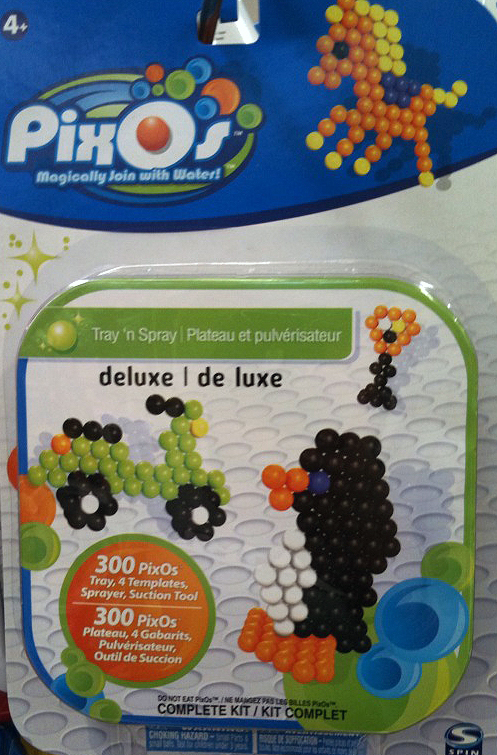 Awhile back PixOs had a multi-national recall after it was found that the Chinese factory had used a cheaper chemical that acted as a sedative if kids ate the beads! I say a kids toy that actually calms them down sounds like a brilliant idea but I digress . . . 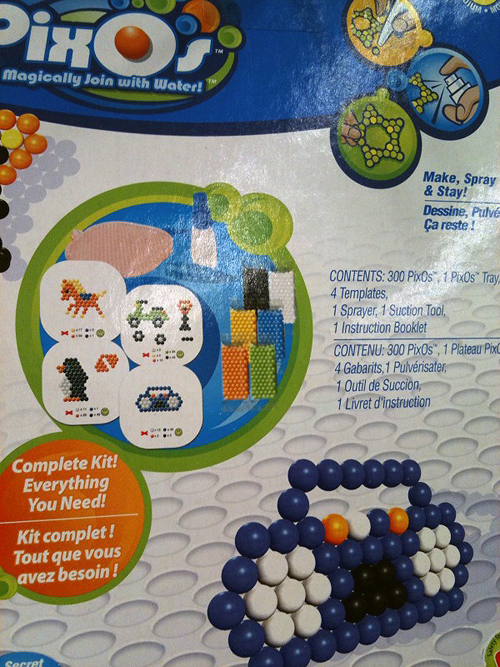 This particular PixOs set was spotted at Walgreens. Right after I grumbled internally that they never have any scooter toys at Walgreens ; ) It’s $9.99. Sorry to say I couldn’t find an online source for this exact set so keep your eyes open . . . 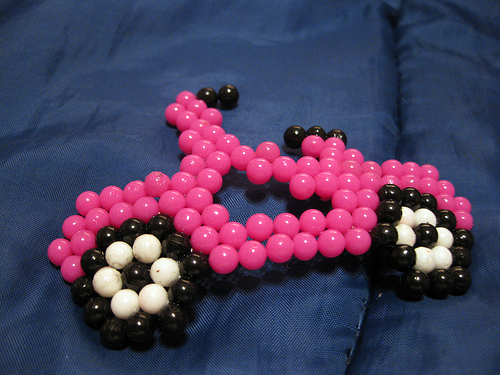 This entry was posted in Crafts, Toys and tagged Crafts, pixos, scooter, Toys, vespa by Tracy. Bookmark the permalink.